We’ve already seen possible preliminary specs for Nvidia’s rumored GTX 1180 leak online. Now, more apparent details have been posted in the TechPowerUp GPU database. While the data comes from an engineering sample and some specs could change in the final model, the listing's appearance does suggest that the highly anticipated card could be here sooner rather than later. Some of the specifications have appeared in previous leaks, including the use of TSMC’s 12nm FinFET process, 3584 CUDA cores, 224 texture mapping units and 64 ROPs. While it had been reported that the GTX 1180 would feature “8-16GB” of DDR6 memory, the entry lists it as 16GB. Additionally, memory bandwidth is shown as 384GB/s, whereas it was rumored to be 512GB/s. 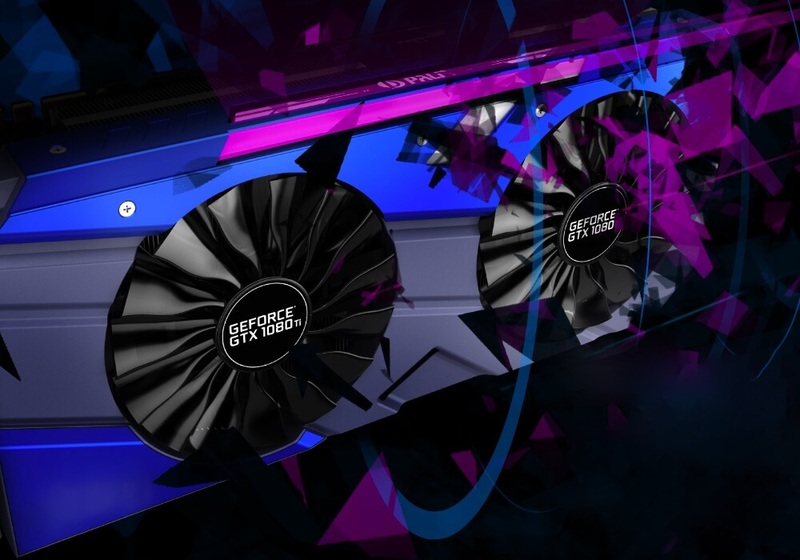 We also see the upcoming card’s Thermal Design Power (TDP) rated at 200W, slightly more than the GTX 1080’s 180W but less than the 1080 Ti’s 250W. 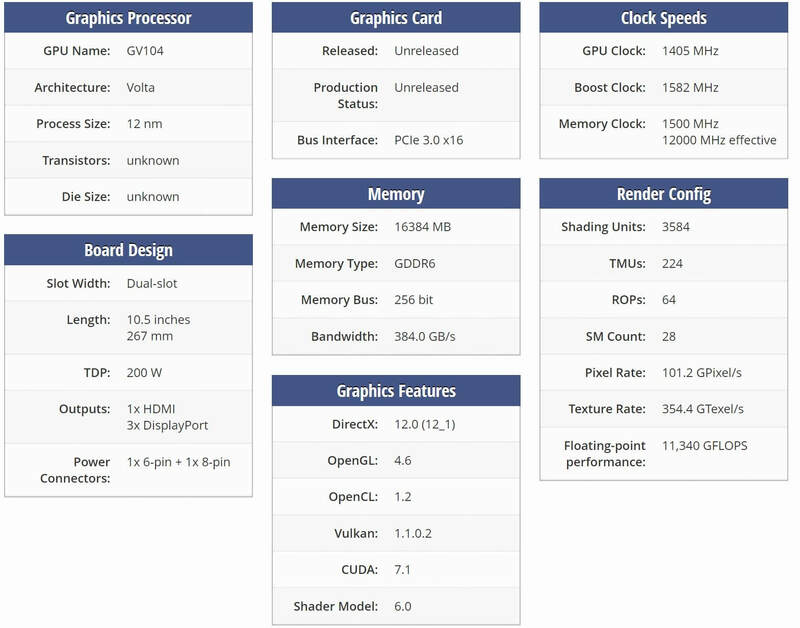 The GPU core clock is listed as 1405 MHz while the base boost clock is 1582 MHz. "Being a dual-slot card, the NVIDIA GeForce GTX 1180 draws power from 1x 6-pin + 1x 8-pin power connectors, with power draw rated at 200 W maximum. Display outputs include: 1x HDMI, 3x DisplayPort. GeForce GTX 1180 is connected to the rest of the system using a PCIe 3.0 x16 interface. The card measures 267 mm in length, and features a dual-slot cooling solution," reads the database entry. Possibly the most interesting spec is the 1180’s rated peak floating point performance of around 13 teraflops, putting it ahead of the 1080Ti (11.4 TFLOPS) and even the Titan Xp (12.1 TFLOPS). Strangely, the entry has the GTX 1180 down as a variant of Nvidia’s Volta architecture instead of Turing, which is what the earlier leaks showed, though it’s suspected that this is an error. Rumors say the GTX 1180 could launch as soon as July or August, suggesting that an unveiling at Computex might not be out of the question. As for the price, we’re expecting somewhere between $699 and $799. That sounds comparatively cheap, but it could be due to the fall in GPU demand from cryptomining farm operators, which has resulted in some graphics cards finally returning to their normal prices.